Last week I flew to Seattle to spend time with family and friends and to celebrate my mom's birthday. 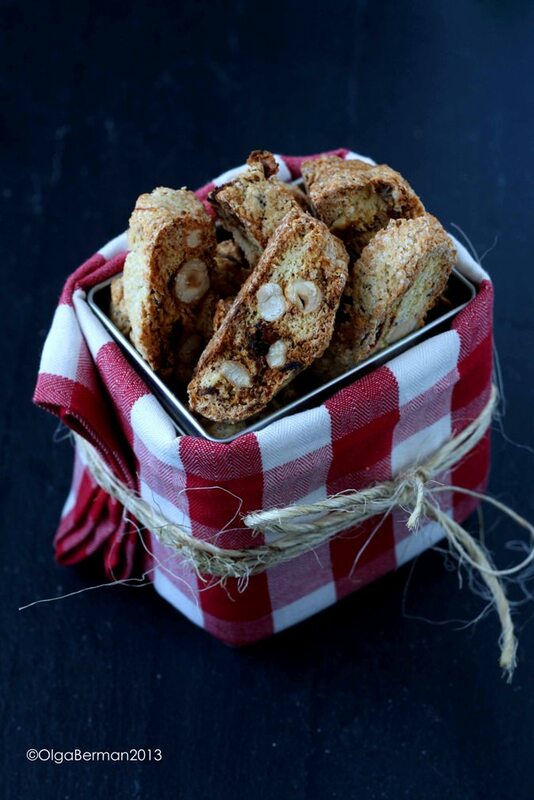 One of her favorite cookies is the super easy to make biscotti. I've written several times before about the process of making biscotti at home, adding different fun things to your biscotti, and about my not so stellar attempt at making chocolate biscotti. This time I decided to make Hazelnut Date Biscotti. 3. Whisk together the eggs and the vanilla extract and add to the dry ingredients. 4. Line a cookie sheet with parchment paper and form two flat loaves with your biscotti dough. 6. Once the loaves are cooled, cut them with a serrated knife into 1/4-1/3" thick slices. 7. 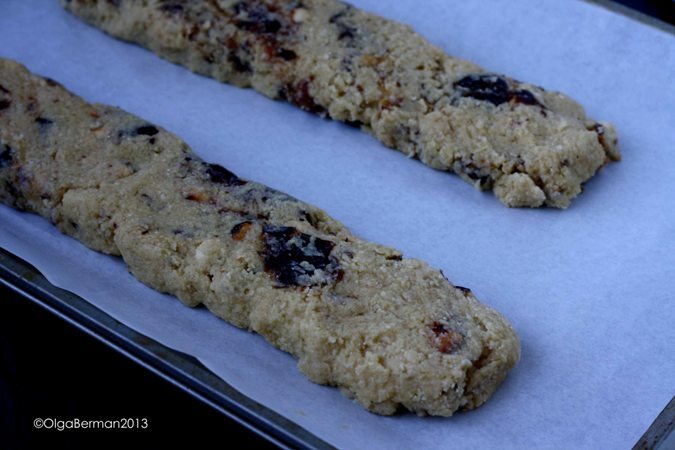 Bake the biscotti for 15-25 minutes, depending on how crisp you want them to be, turning them halfway through. These were AWESOME!!! One of my friends actually thought my condo smelled like chocolate after I baked these. 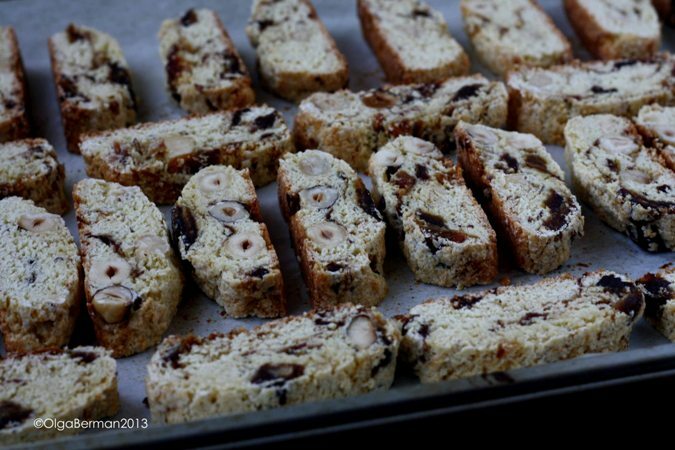 The biscotti was sweet due to the dates and had a great nut flavor. 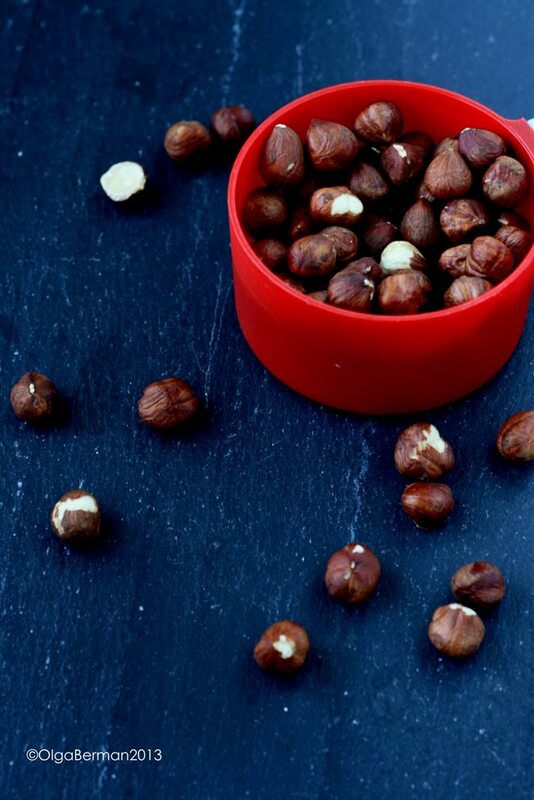 I preferred to leave hazelnuts whole, but you can chop them if you want. 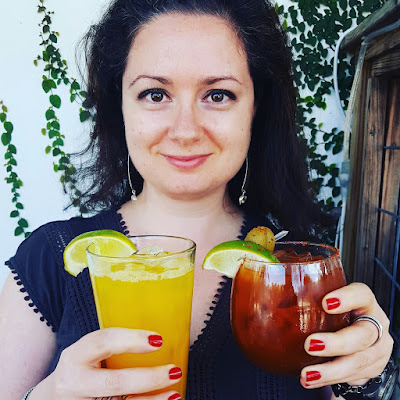 These travel really well and are a great hostess gift. 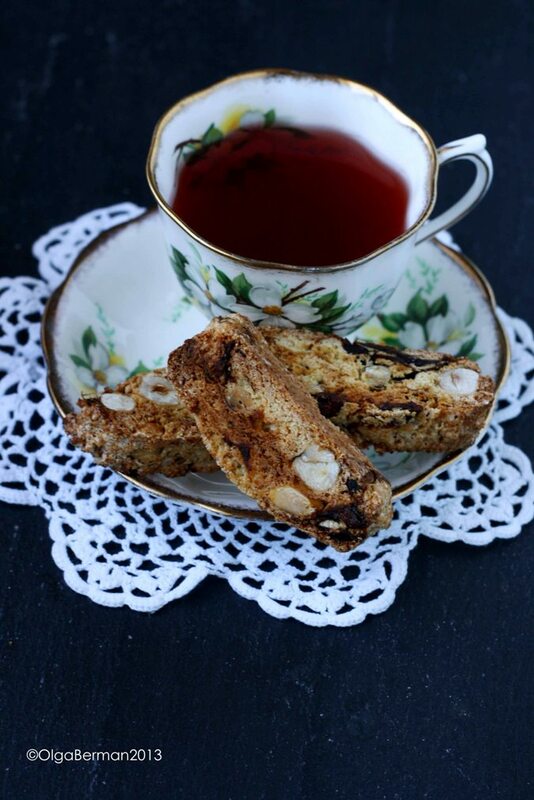 What do you like to add into your biscotti? 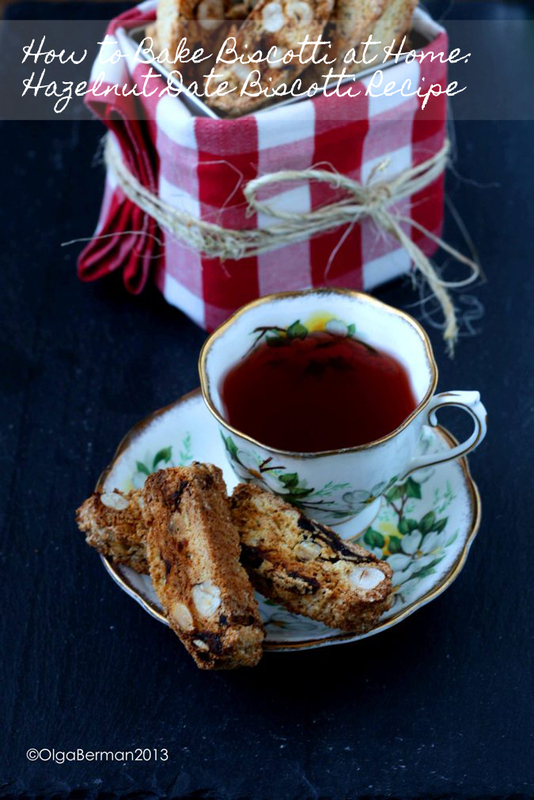 i absolutely love biscotti and would love to try this combination. I normally bake with almonds and cranberries :) hope you had a great time with the family. Love cranberries in biscotti too. I've done cranberries with pistachios and orange zest before.